Employers and building owners have a responsibility to provide a safe place for workers to do their jobs. Despite this, workers in Queens are regularly injured by unsafe conditions at offices and other work sites. Workers may look first to workers’ compensation, but it may not cover the full cost of their injuries. In some cases, workers who are injured by dangerous conditions at work may have premises liability claims. The Orlow Firm can help. 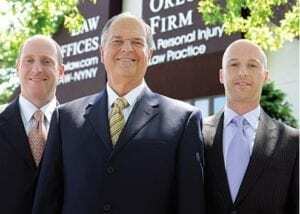 We are a Queens law firm that focuses on helping injured people obtain the compensation they need to recover. We believe our clients deserve the best representation possible, and we make sure that they speak directly with a partner at the firm. We serve clients throughout New York City, including Queens, Brooklyn, Manhattan and The Bronx. Claims of property owner liability can be complex and hard to identify. Often, an injured worker may not realize that a property owner or other third party can be held accountable. At The Orlow Firm, our lawyers understand the circumstances in which third-party claims arise against property owners, and we have the experience and dedication that our clients need. We serve injured victims in Queens and throughout New York City.